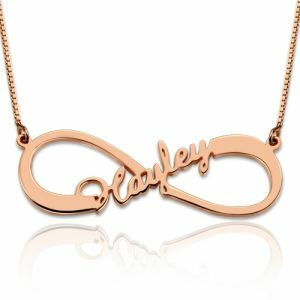 Our Personalised Single Infinity Name Necklace provides the best way for you to show off what the word "forever" means to you. This is the perfect personalized infinity necklace to wear. Get your name and your significant other on this name necklace. You can also get the names of best friends, inspirational words, children, or anything else you can think of. 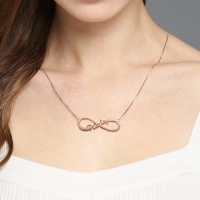 This customized infinity necklace also makes a great gift to give someone.